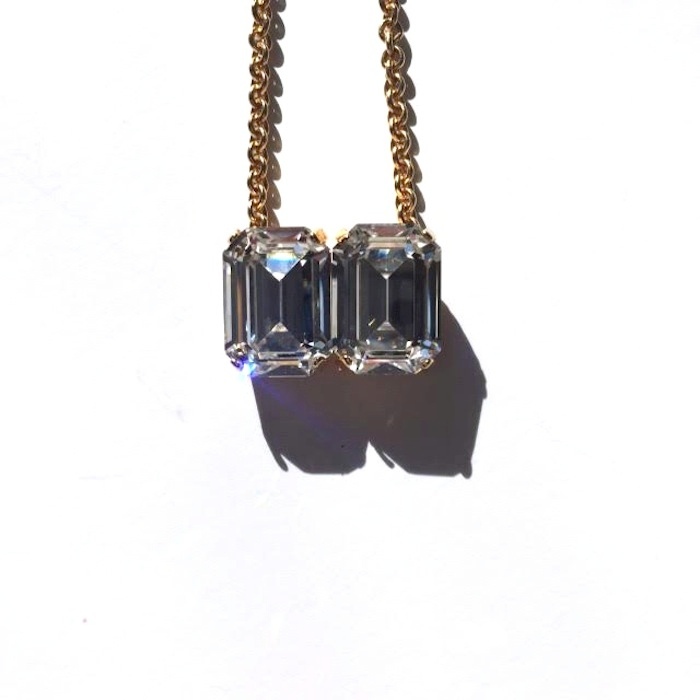 Pendant designed with two clear Swarovski rhinestones on a short gold chain. Pair with the Haarstick’s Four Rhinestone Cuff and you’ll look beyond! Other colors coming very soon but if you need a specific color now, contact us and we’ll make it happen because we’re cool like that.